Italian Chopped Salad is my favorite quick lunch I love to whip up with ingredients I usually have on hand in my refrigerator! So simple, and can easily be modified to suit your taste. It’s low-carb (Keto), gluten-free and easy to whip up! I make this so often, especially when I don’t plan what I am going to have for lunch that I thought I would share. 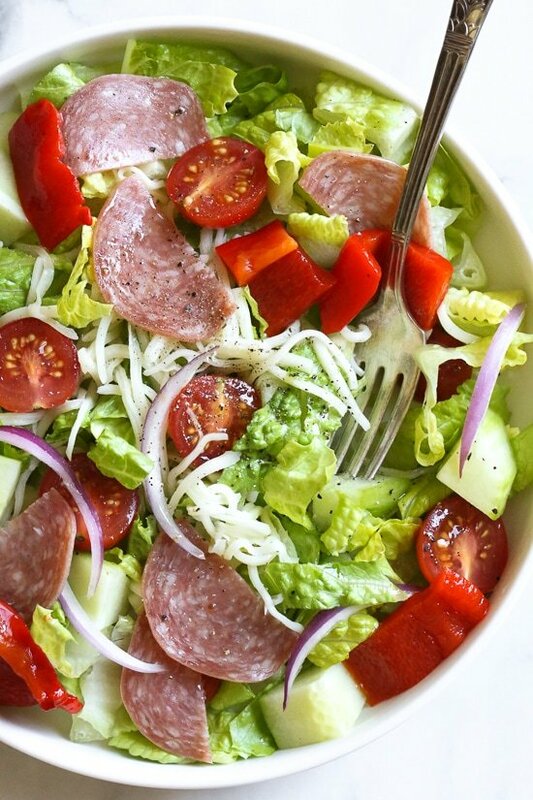 This version is made with Genoa salami, mozzarella, roasted red peppers, tomatoes, cucumbers and lettuce topped with oil and red vinegar. Since I usually whip this up with the ingredients I have on hand, my salad looks different each time I make it, here are some variations I usually make. 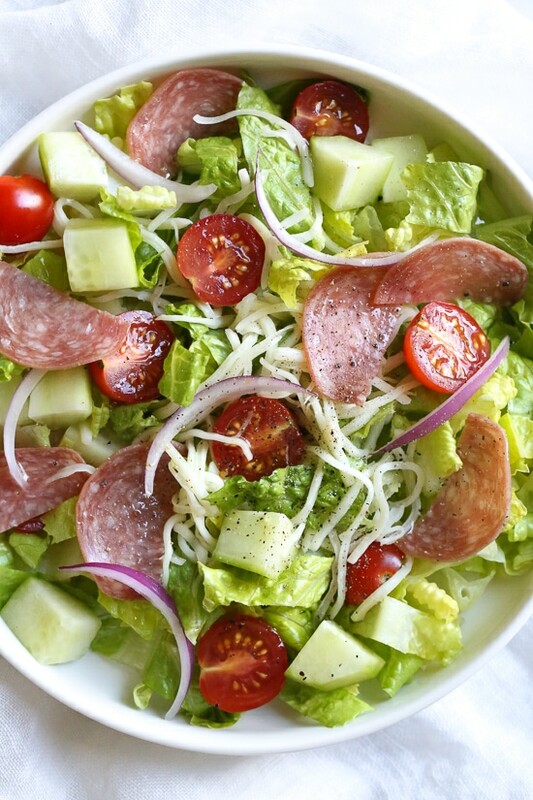 Toss the lettuce, cucumbers, tomatoes, red onion with oil and vinegar, season with salt and pepper to taste. 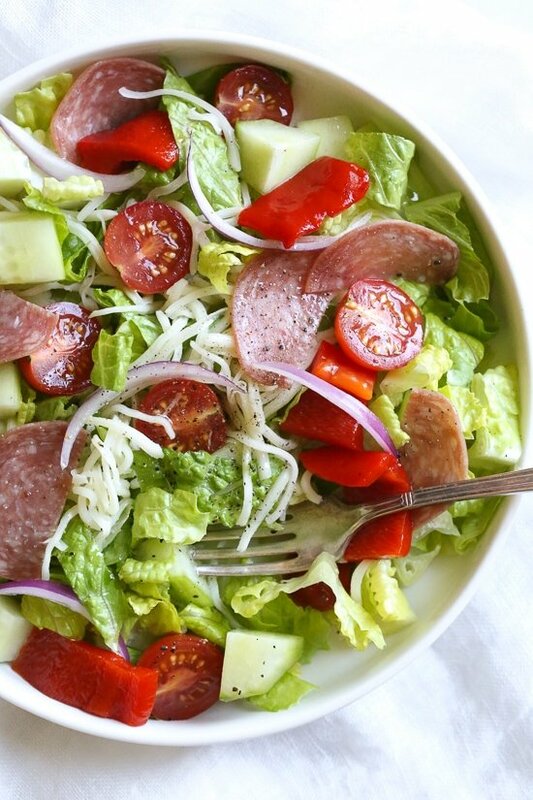 Top with roasted red pepper, salami and mozzarella.